Although it isn’t a cocktail that guests can sip on throughout the evening, it’s a great option to serve when the party goes well into the morning hours to keep everyone awake! 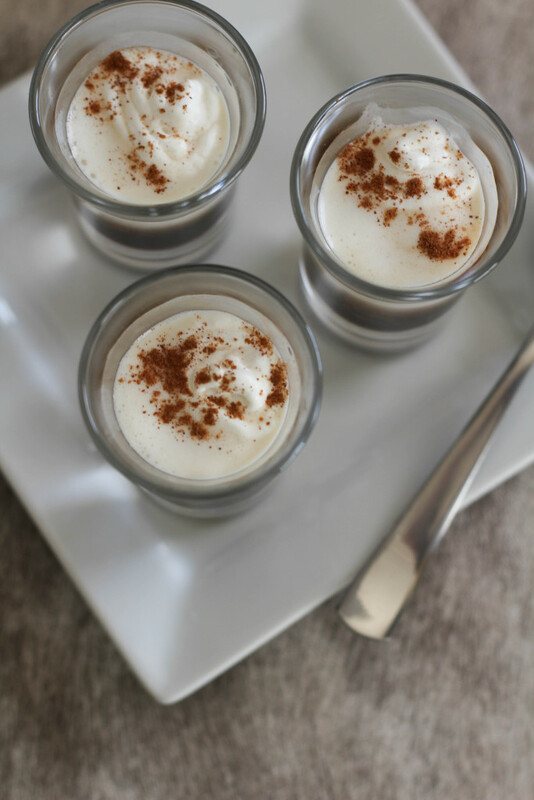 Coffee Shooters are a really easy recipe to put together and yummy if you top it off with a bit of ice cream, like I do! 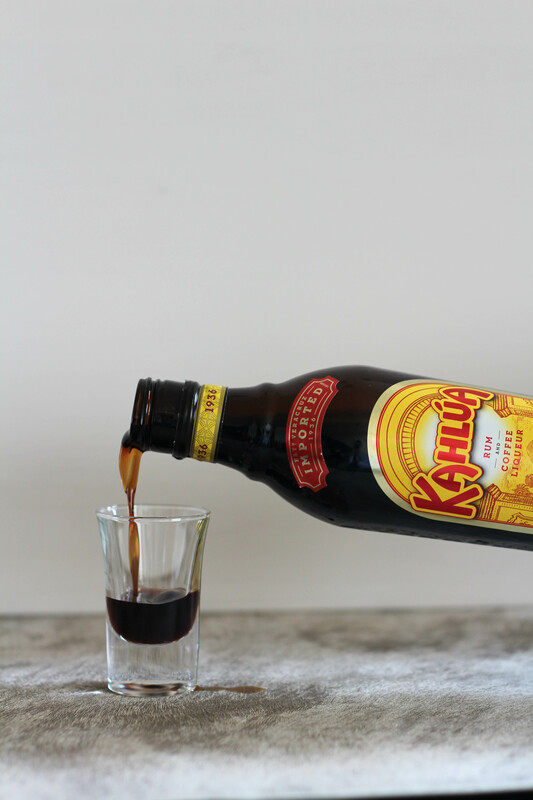 Pour your Kahlua into a shot glass. Pour the half and half on top of the liquor. The colors will swirl together a bit. 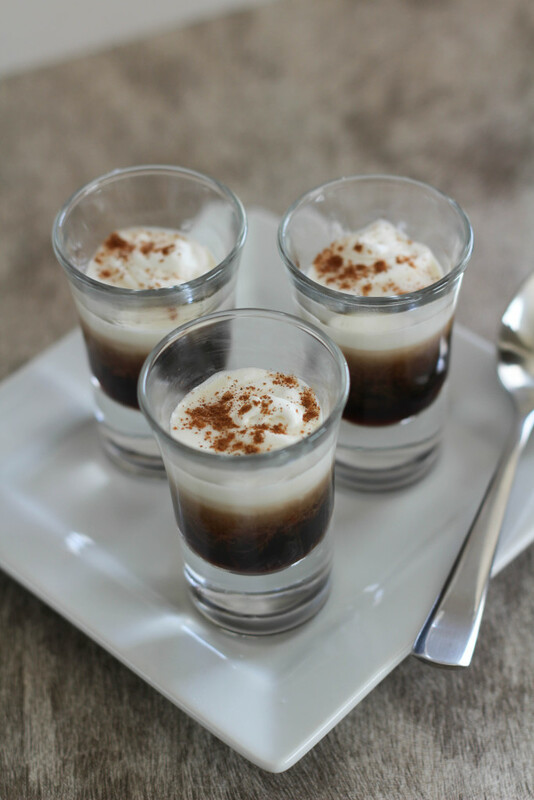 Top the shots off with a small bit of vanilla ice cream. (I use a melon baller to create a tiny little ice cream scoop). The ice cream helps to keep the shot cold but also melts into the liquor a bit and gets creamy…yum! 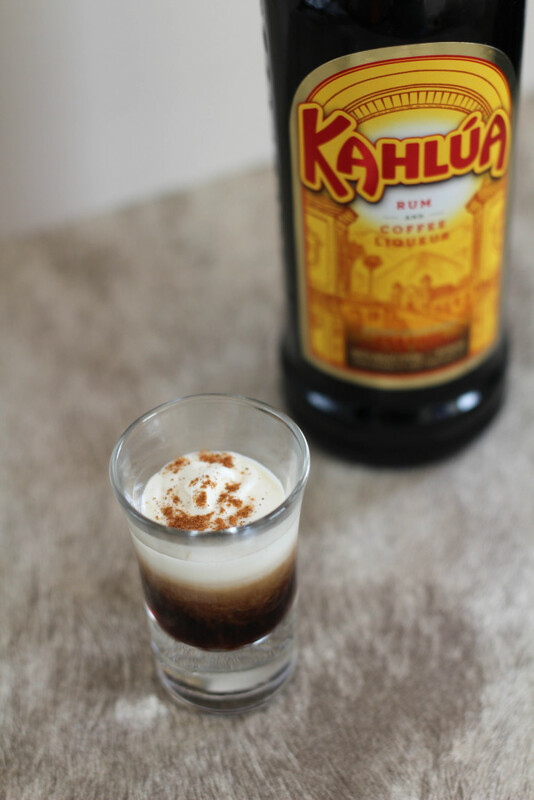 If you like the taste of cinnamon, dust each shot with a tiny sprinkling for a bite of added flavor. 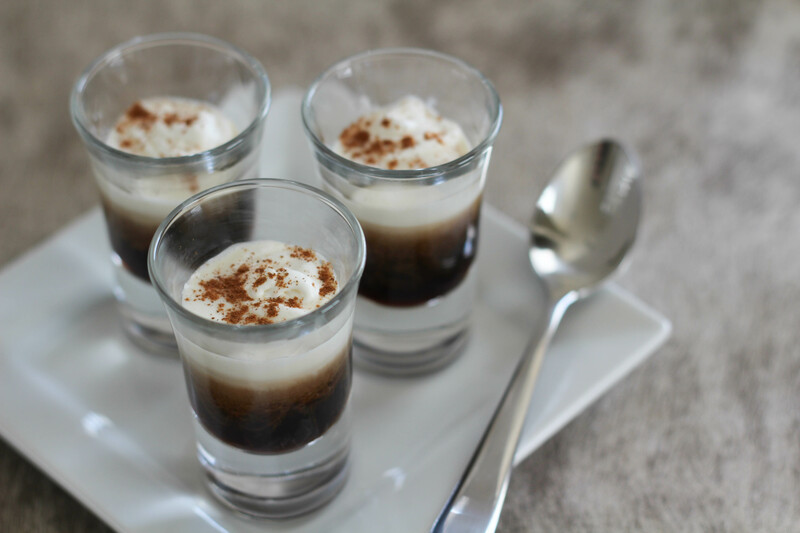 This recipe for coffee shooter takes hardly any time to put together, which is great so you don’t spend all of your time in the kitchen prepping drinks! 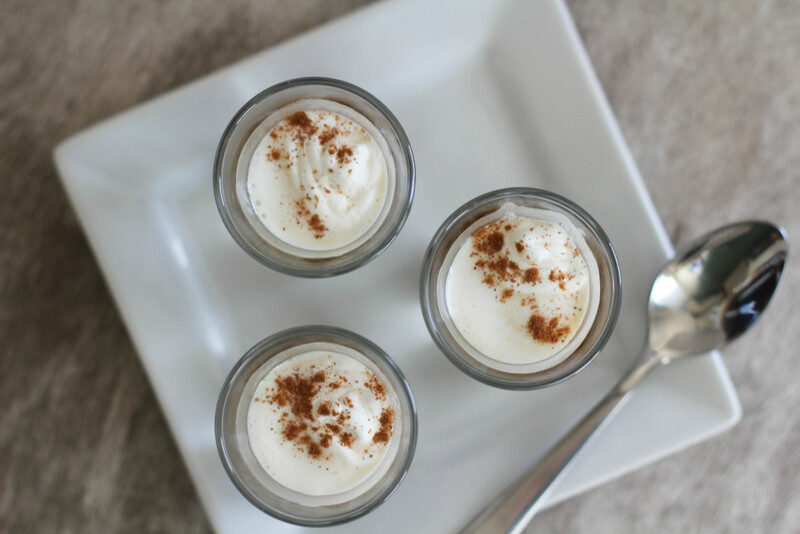 As an added bonus, serve these little guys with mini warm chocolate chip cookies…delish! A creamy little concoction that will help keep your party going long after dinner is over!